Dorothy “Dot” Dickey, was born to Ralph J. and Georgia Mae (Horton) Mellott on July 20, 1943 in Superior, Nebraska. She passed away to meet her Lord on January 18, 2019. Dorothy graduated from Superior High School in May 1961, and was joined in marriage to William A. Kegle on March 4, 1962. This union was blessed with one daughter, Vicky Coleen. Dorothy was joined in marriage to James E. Blue in June 1971. She attended Holdrege Beauty School, and graduated in 1971. She owned her own beauty shop for eight years following. She and her husband, Jim, owned and operated the Sweden Crème in Holdrege from 1980 until 1985. In 1986 Dorothy married Eric H. Bjornstad and moved to Oregon. She attended Lane Community College, where she graduated with a Dietary Manager Certificate, and was state certified. In 1999, Dorothy returned to Holdrege, Nebraska, where she worked, lived near her family, and enjoyed her favorite hobby, quilting. Dorothy took delight in designing and quilting many blankets, bedspreads, wall hangings and keepsakes for family weddings, birthdays, Christmas and other occasions. In 2004, Dorothy married Perry J Dickey and moved to Aloha, Oregon. When her husband passed away in 2016, she returned home to Nebraska. She was preceded in death by her father and mother in Superior, Nebraska. She is mourned by her daughter, Vicky and son-in-law Jason of Crawford, Nebraska; grandson, Nathaniel, along with his wife Sarah, and great-grandchildren, Caleb, Leah and Isaac of Holdrege, Nebraska, and grandson Ryan, of Lincoln, Nebraska. She is also mourned by her sister, Betty Zadina, and brother-in-law Leo of Superior, Nebraska, niece Kim, and nephews Kurt, Kraig and Kevin, their families and many friends. 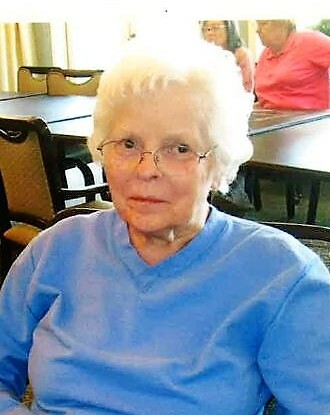 Dorothy was a kind and caring daughter, sister, wife, mother, aunt, grandmother, great-grandmother and friend. She was never so busy that she couldn’t help, nor so far that she couldn’t be nearby in time of need. She loved her family dearly, and held her family and friends close to her heart and in her prayers. Dorothy will be greatly missed by many friends and family alike. Memorial services will be held this Wednesday 11:00 am, January 23, 2019 at the Williams Funeral Home Chapel in Superior. Services will be conducted by grandson Nathan DeWald. Dorothy’s final resting place will be at the Evergreen Cemetery in Superior, Nebraska. Condolences may be sent to the family at wmsfh.com.